Supplies higher-order coordinatized data specification and fluid transform operators that include pivot and anti-pivot as special cases. 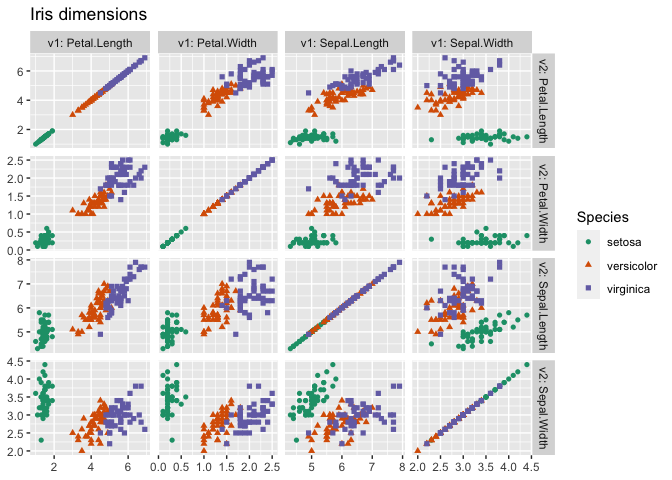 The methodology is describe in 'Zumel', 2018, "Fluid data reshaping with 'cdata'", < http://winvector.github.io/FluidData/FluidDataReshapingWithCdata.html> , doi:10.5281/zenodo.1173299 . This package introduces the idea of control table specification of data transforms (later also adapted from 'cdata' by 'tidyr'). Works on in-memory data or on remote data using 'rquery' and 'SQL' database interfaces. The point being: it is much easier to reason about data than to try to reason about code, so using data to control your code is often a very good trade-off. Work on local data or with any DBI data source. Are powerful generalizations of the operations commonly called pivot and un-pivot. 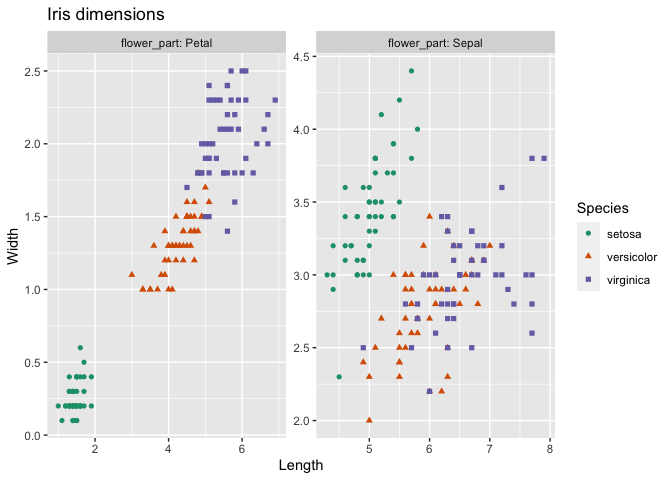 A quick example: plot iris petal and sepal dimensions in a faceted graph. More details on the above example can be found here. A tutorial on how to design a controlTable can be found here. And some discussion of the nature of records in cdata can be found here. The above is now wrapped into a one-line command in WVPlots. #   $ meas: chr  "AUC" "R2"
The cdata package is a demonstration of the "coordinatized data" theory and includes an implementation of the "fluid data" methodology. The recommended tutorial is: Fluid data reshaping with cdata. We also have a short free cdata screencast (and another example can be found here). 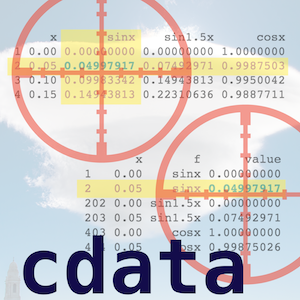 Note: cdata is targeted at data with "tame column names" (column names that are valid both in databases, and as R unquoted variable names) and basic types (column values that are simple R types such as character, numeric, logical, and so on). More generality in control table keys. Unify S3 method signatures to allow generic programming over them. Generic record to record transform. Move more functions from DBI to rquery. Switch to new f_df signature. rquery extension (moving methods to S3). switch local ops to data.table implementation. move db fns to rquery. Switch to dbExecute() (sparklyr seems to have that now). Non-DB implementations for local data case. Add doi link in DESCRIPTION (CRAN request). Use build_frame(), draw_frame(), and qchar_frame (quoted frame) from wrapr 1.3.0. Remove append based row binding (seems to have some issues on Spark). Move grepdf out of package. work around empty keyset issues. Allow NA in key columns. Add optional class annotation when moving values to rows.